It’s been a pleasantly lazy four days – sleeping in, spending time with relatives and friends, and doing not much of anything. After the whirlwind of Chocopalooza, I needed a break! But we’re flying home today, which will also be wonderful – too much idleness sends me up the wall! I’ll probably do some more writing on the plane, though as I wrote six book blog posts on the way out, I’m already comfortably ahead. Plans for once I get back? Well, the first order of business is cleaning up – the detritus from the chocolate storm is still strewn about, the floor desperately needs mopping, and there is chocolate festooned on, um, everything. The refrigerator, the microwave, the wall (okay, only a little bit of chocolate on the walls), the cabinets, the drawers…the list goes on. Fortunately my chocolate helpers washed most of the dishes! which was very nice of them. I expect the cleanup to take a few days, or else part of next weekend. Second order of business is book reviews. I owe two book reviews to Complex Weavers Journal, they’re due December 15, and I have yet to crack open either book. And they’re tutorial books, meaning I can’t just speed-read them; I really need to work through and think about them. My bad for putting it off, but Chocopalooza was a bit distracting. Third on the list, creatively speaking, is to put the Phoenix Rising sample warp on the loom. I’m hoping it goes on smoothly and isn’t too onerous to thread. (Turned tied weave in 120/2 and 60/2 silk = LOTS of ends per inch.) It will be my first warp on the loom since the move – I’m getting out of practice! I am definitely hoping to do more weaving in the new year. Fourth is to catch up on miscellaneous stuff. I need to revamp and update my website – I haven’t even put up the Celtic Braid Coat yet! – and there is a bunch of stuff I need to do as Publicity Chair for Complex Weavers. So that’s important too. Not sure if I’ll pursue any of the three, but it’s been interesting playing with design variations. I’ve definitely been more far-reaching than usual, prompted by the book blog. 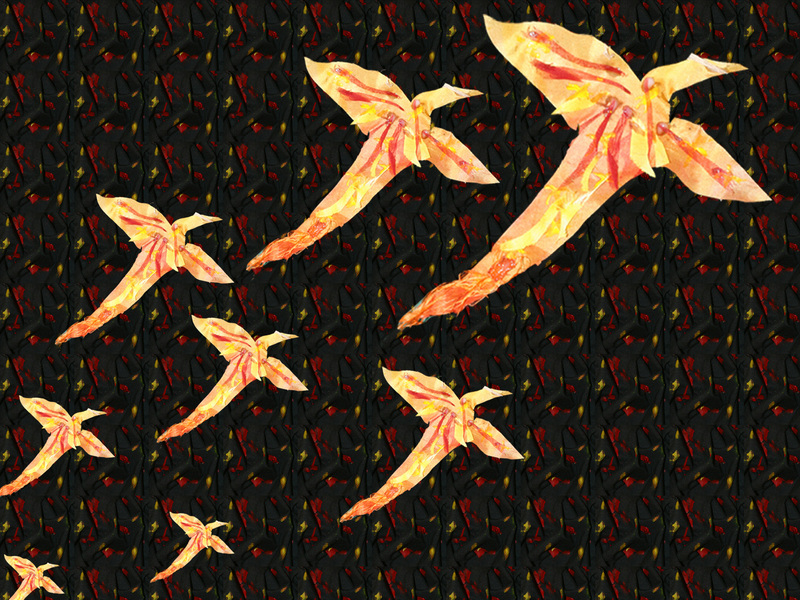 I am thinking (for the moment, anyway) that the first iteration of Phoenix Rising will be a wall hanging, possibly with only some components handwoven – I need a project I can use as an example for my book blog, and a garment would be too time-consuming to keep pace with the blog. Or I might do a garment, scarf, etc. 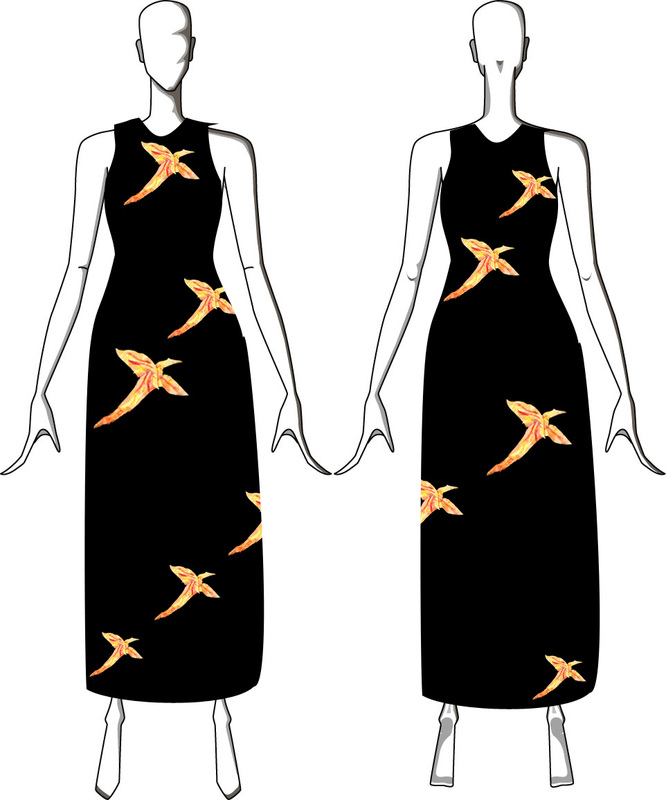 in parallel – I really don’t like “quick and dirty” projects, and I really want a handwoven piece for the Firestorm show that the Pikes Peak Weavers guild is putting on next year. The deadline is in mid-April, but that’s practically yesterday, especially considering my usual timeframe. 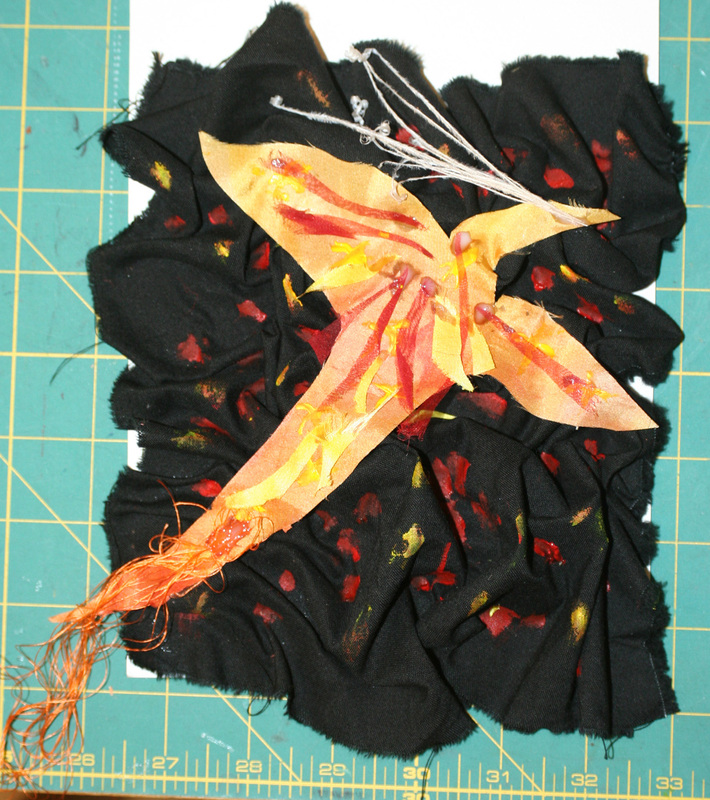 Phoenix Rising would be just perfect for the Firestorm theme, I just have to figure out how to make it fit, time-wise.